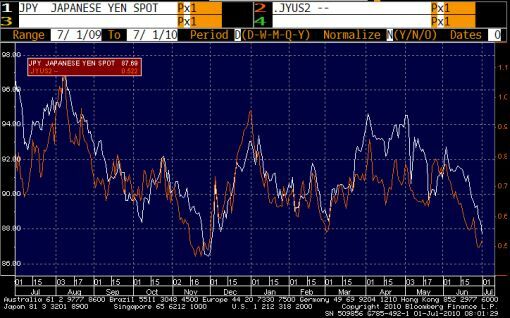 Look at this, USD/JPY moving along with 2 year yields. What does this suggest? That next week, USD/JPY could bounce. If payrolls is very weak, that may not happen, but U.S. yields are nearing very low levels and short positions area heavily weighted to USD shorts.